Or he is her brother and they have family problems and whatnot lol. Hackster told me to check this story... And we really like it! Yeah an Ingenica rival monster would be pretty cool. Has 50% Resistance to status effects, give allies immunity to trait disable, and would give allies mechanical hater. It would also be cool if he could make allies turn into artifacts. That would be cool skill idea. 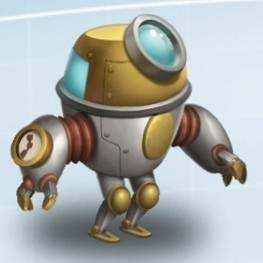 Example could be "Robotization" Removes all positive, and negative status effects from ally. Makes ally into an Artifact. Requires cooldown. @Carlos thanks! is awesome that you guys liked it.